The Barolo DOCG 'Vigna Madonna Assunta La Villa' Riserva by Rocche dei Manzoni is produced exclusively from grapes of nebbiolo of the vineyard "Madonna Assunta La Villa" in Castelletto. It is marketed 10 years away from vintage. 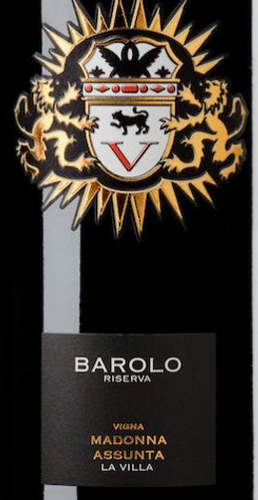 Let it mature for 36 months in barriques and refine for 7 years in bottle, it is a unique Barolo. THE WINE The Barolo DOCG 'Vigna Madonna Assunta La Villa' Riserva by Rocche dei Manzoni is produced exclusively from grapes of nebbiolo of the vineyard "Madonna Assunta La Villa" in Castelletto. It is marketed 10 years away from vintage. 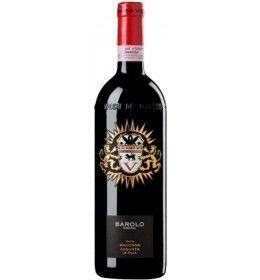 Let it mature for 36 months in barriques and refine for 7 years in bottle, it is a unique Barolo. THE COMPANY Rich in history and blessed with the best locations, the vineyards of Podere Rocche dei Manzoni are all situated within the municipality of Monforte d'Alba. Here our products are born. The wines of Podere Rocche Dei Manzoni realize a perfect marriage of tradition and innovation. The high quality of Podere Rocche dei Manzoni's products is guaranteed not only by meticulous vinification processes and a constant search for improvement but also by a strenuous work performed in the vineyard, through short pruning and thinning out of grapes to obtain very low output of grape/hectare. Tasting Color: red garnet loaded, vinous and intense. Bouquet: great varietal impact, ranging from red fruits to undergrowth, from tobacco to chocolate. Taste: compact, powerful but of great balance.